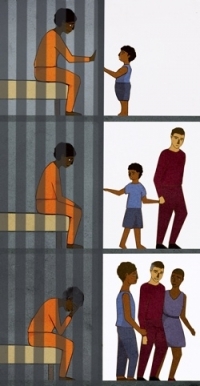 The mission of the Strengthening Family Connections: In-Person Visitation Campaign is to pass SB 1157 in California, introduced by California State Senator Holly Mitchell, which will protect in-person visitation rights in California county jails, ensuring that video visitation cannot replace in-person visitation. Sign up to receive updates and action alerts from our campaign, Strengthening Family Connections: In-Person Visitation. Together we can pass SB 1157 (Mitchell), which would protect in-person visitation rights in California county jails, ensuring that video visitation cannot replace in-person visitation. Governor Brown vetoed SB1157, but the fight is not over! Bill to prohibit California jails from eliminating in-person visitation passes Senate!